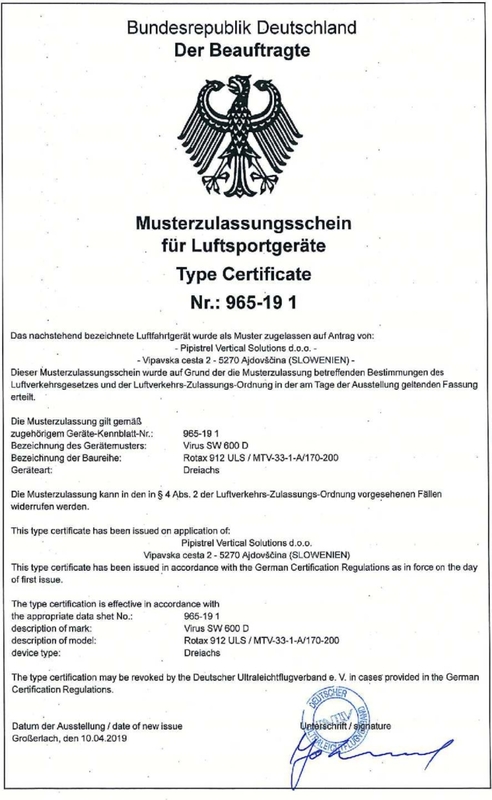 On the premise of EASA new basic regulation, permitting for MTOM of 600kg for microlights in Europe, Germany was the first of countries to implement the new regulation. 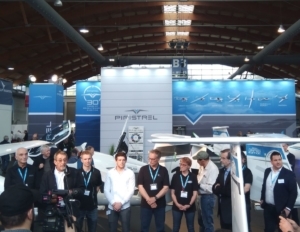 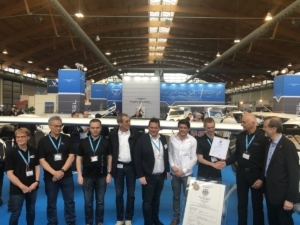 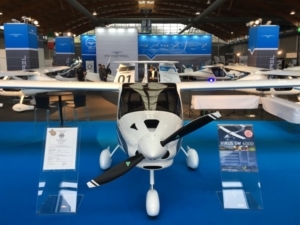 As a testament to excellent collaboration between DULV and Pipistrel since decades, Pipistrel became the first to obtain new microlight certifications. 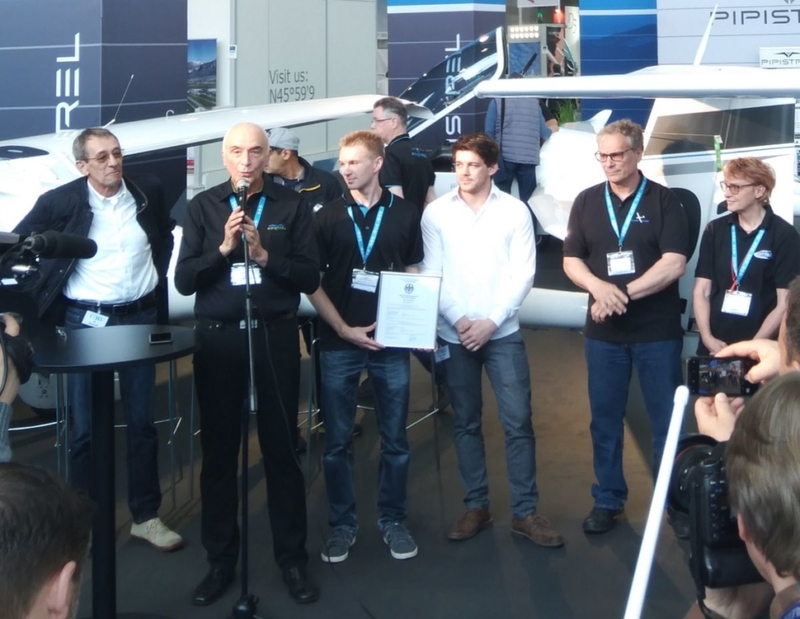 After the speech Mr. Konrad handed over the certificate to Mr. Richard Meier of Pipistrel and congratulated him for outstanding teamwork and cooperation with DULV. Pipistrel would like to sincerely thank our Vertical Solutions team, led by Mr. Richard Meier and Chief Engineer Vid Plevnik, who achieved this milestone in 4 months in excellent cooperation with DULV technical team: Mr. Benedikt Glock and Mr. Jörg Seewald. 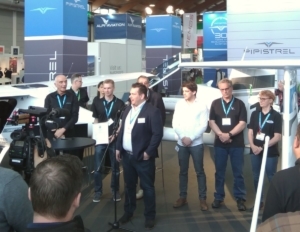 Great thanks also to EASA, who enabled the increased safety for microlights by giving EU countries the opportunity to establish higher take-off weights for this class, to European Commission and to European Parliament for their continuous help and support. As Ivo Boscarol pointed out during the press conference, the entire aviation community is especially thankful to Mr. Jo Konrad for his initiative, leadership and passion for establishing the 600 kg UL class: “Thank you, Jo! At the event we were honoured by the presence of the Member of European Parliament, Mr. Lojze Peterle, who is an avid pilot himself. 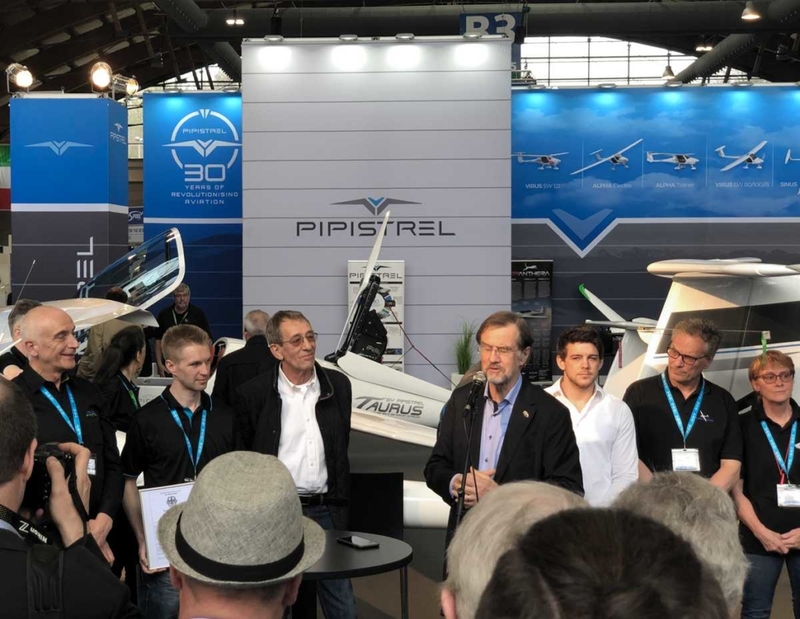 We would like to thank Mr. Peterle for making a great contribution to this achievement by motivating his MEP colleagues to approve of the new rules. The first of the Virus SW 600D was delivered to a German customer during the occasion. 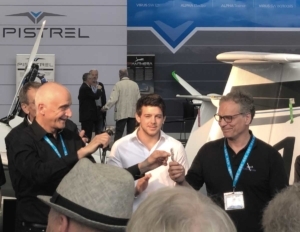 The General Manager of Pipistrel, Ivo Boscarol, handed over the keys of the aircraft to the German distributor, Mr Peter Goetzner. 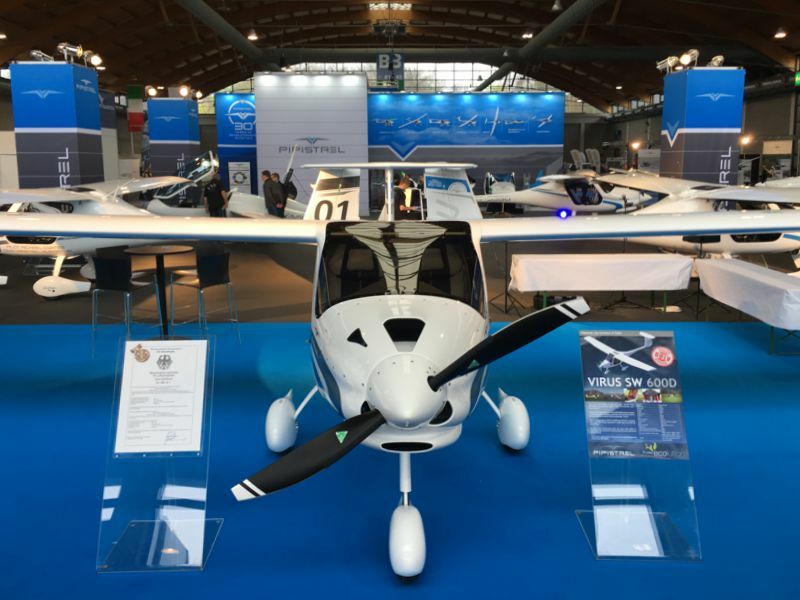 The aircraft is already in serial production and available for deliveries worldwide. 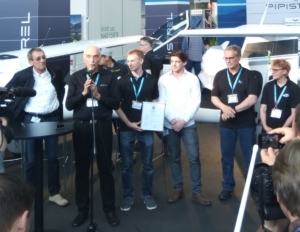 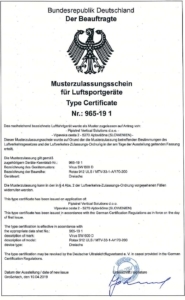 Pipistrel will continue to obtain new German microlight certificates for increased weights for the Alpha Trainer and Sinus in 2019. 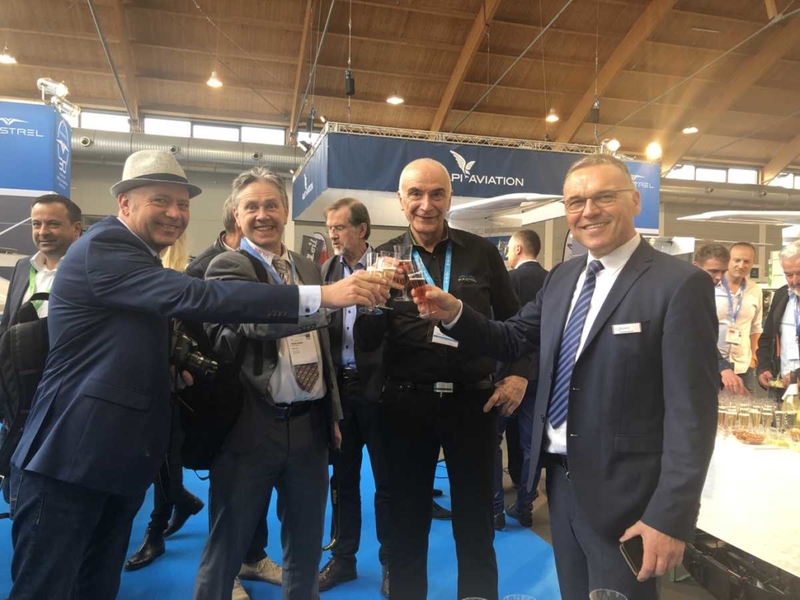 After the event Ivo Boscarol celebrated with the Project Manager of AERO Friedrichshafen, Mr. Roland Bosch and several media representatives.